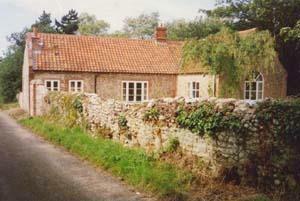 Lovely, spacious, well equipped ground floor cottage. Quiet position. Easy walk to coast, ideal for bird watching. Comfortable sitting room, colour TV, video/DVD WIFI, open fire, French doors to south facing terrace and enclosed garden. 2 bedrooms, bath, shower room and utility rooms. Dining/kitchen, off road parking. Dogs welcome. Sleeps 4. Open all year. Dogs accepted by arrangement. Children welcome from any age. At Letheringsett, turn off the A148 along byroad to Wiveton. No public transport.